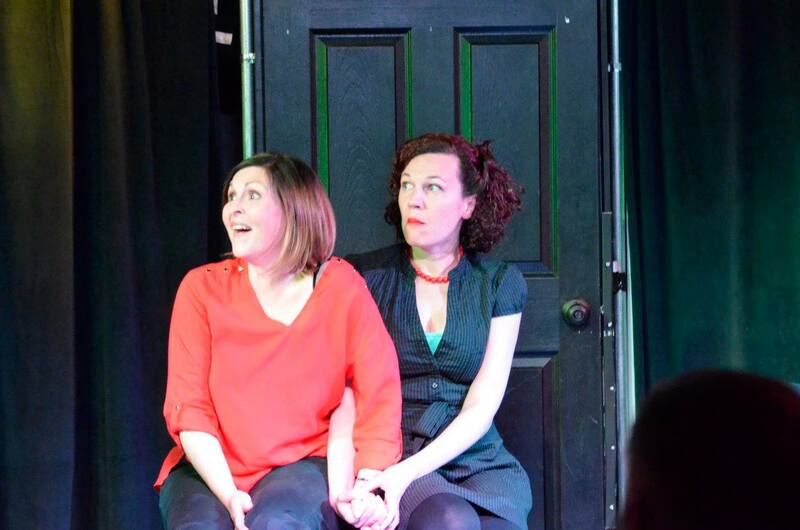 Stemming from a love of improvisation as not only an art form, but potentially as a life-altering concept, Amy Carpenter and Stacey Hanlon came together to form Conducted Stories. Working with the Autistic community to determine how improvisation might help to interpret emotional cues, improve social interaction and help to support the ideas of one's peers, Amy and Stacey have developed a series of workshops to aid those with ASD as well as their caregivers, family and support network. Amy Carpenter was first introduced to improvisation in 1999 and since that time has performed and taught across the country. She is a founding member of The Torch Theatre and can regularly be seen performing with her troupes Mail Order Bride and Havens Tafting. In addition to her work with the Torch, Amy has performed in New York, Chicago, San Diego, Austin, Phoenix, Tucson and Flagstaff. Her teaching and performance draw on a variety of influences, with a strong preference for Annoyance-style, character-driven, honest, patient scene work, though she does love the playfulness of large ensembles. She trained in musical improv at the Hideout Theatre in Austin, TX and has supplemented her improv education with workshops from many of her improv idols, including Susan Messing, Craig Cackowski, Nick Armstrong, Charna Halpern, Jill Bernard and David Razowsky. Her traditional classroom experience led her to work with a variety of special populations, introducing improvisation not only as art, but as a form of therapy. She directed a program for older adults with dementia, has taught children of all ages, has worked with women's groups, and currently teaches at a creative vocational school for adults with Autism. Amy believes in creating a safe, supportive classroom environment, and fills it with her infectious enthusiasm. Stacey Hanlon is originally from Akron, Ohio. Through a series of both calculated and accidental events, she now resides in Phoenix, where she is a founding member of The Torch Theatre. She studied with The Upright Citizens Brigade, Armando Diaz and Gary Austin. In NYC she co-founded improv troupe Late Night Ritalin, wrote for and appeared in Saturday Night Rewritten, and was a performer in Manhattan Comedy Collective’s Character Dog Run. She has performed in improv festivals in New York, Austin, Pittsburgh, San Diego, Albuquerque & Phoenix, and can currently be seen performing with improv troupes Light Rail Pirates, Mail Order Bride, JaxN Reed and The Foundation. Her local theatre credits include Jenna in Tangelico, ensemble performance in the world premiere of Greg Kotis’ The Unhappiness Plays and Mabel in A Bloody Mary Christmas, a role that she created through improvisation along with co-creators Jacqueline Arend, Shawna Franks and Denny Guge. Stacey has taught for the Valley Youth Theatre since 2006, teaching musical theatre, acting and improvisation classes to students aged 5-18. She also teaches for and serves on the board of Humor Writes, a local non-profit that uses improvisation as a tool to improve creative writing and literacy for students in grades 5-8. Stacey is a graduate of Carnegie Mellon University and studied abroad with the Institute for American Universities in Avignon, France.